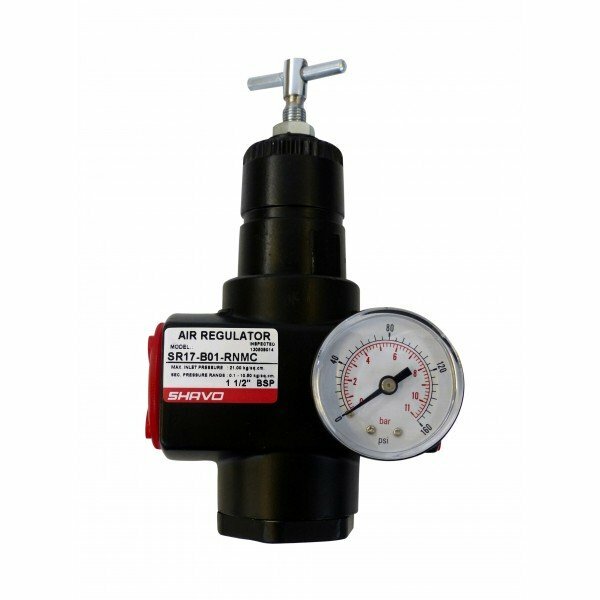 This inline pressure regulator allows you to finely control the air inlet pressure to your blast pot. Really useful when you are cleaning small, or thin metal items; or when you are cleaning brick window recesses, soft wood, or if you need to be gentle on sensitive stonework. Use with all popular professional blast pots. Dome : Nylon; aluminum with optional 0-150 psig spring. Outlet Pressure: Adjustable up to 100 psig (7 bar). Pressure Adjustment Locking Key: Removable. 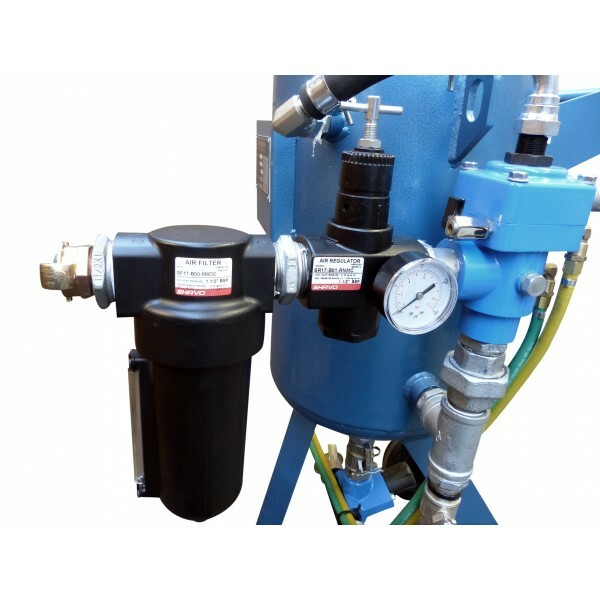 Pressure Gauge: 0 to 100 psig (7 bar); 1/4 NPT gauge ports front and rear.